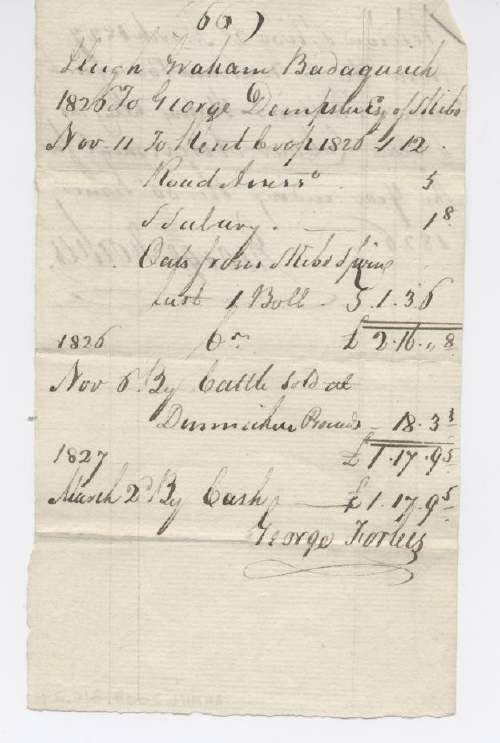 Receipt for rent from Hugh Graham Badaqueich dated 1826 George Dempster Esq of Skibo. Signed George Forbes. Statute labour assessment on reverse.